With Easter around the corner, I'd like to show you some 'I Am a Rabbit' differentiated emergent readers. 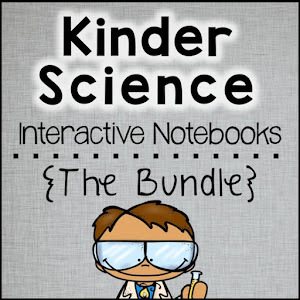 And then I'm going to give you a FREE DOWNLOAD to try out! 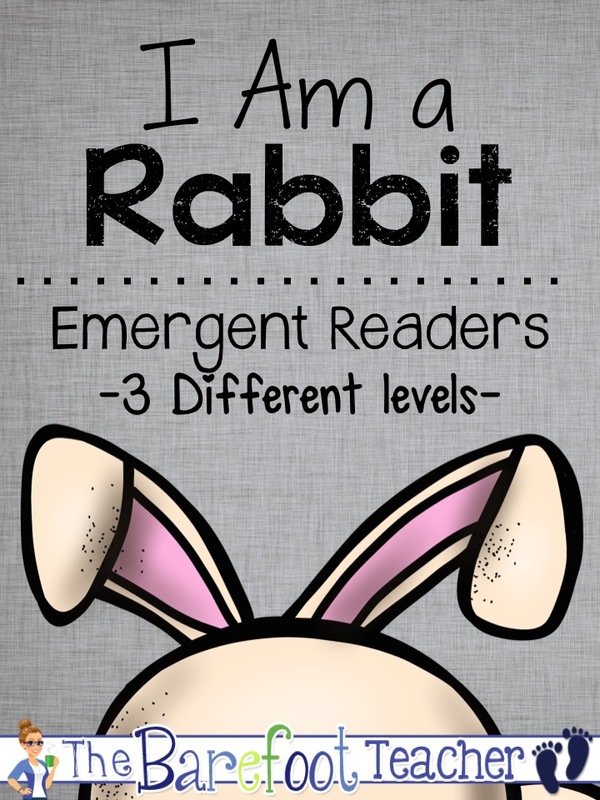 While you really can use these readers at any time of year, I tend to do them around our Easter and spring units. 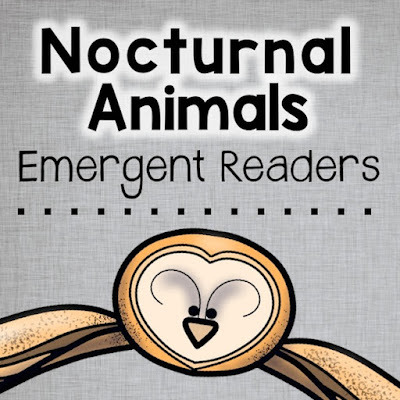 I have many animal readers in this series, but I'm only going to highlight two of them today! So this is what the cover looks like. 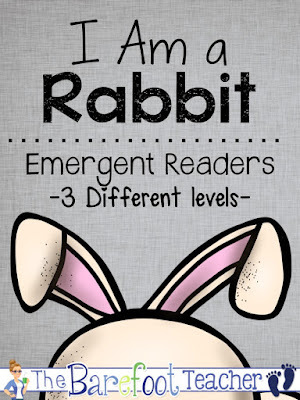 It's the same for all three levels of the reader. Here's what it looks like full size. My daughter turned the title into a cloud in the sky. Each page of the book comes two-to-a-page so that you can easily print the books using the collate and staple options on your copy machine. 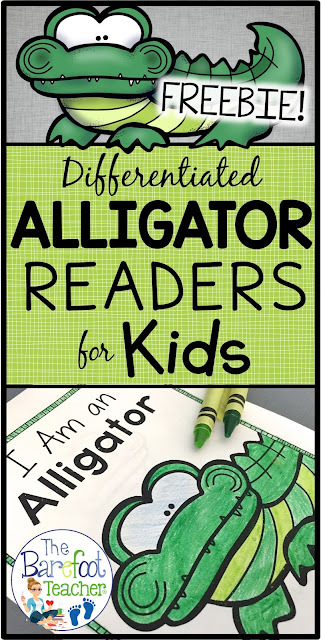 Then use a paper cutter to quickly slice between the books and voila, they're already assembled for you! 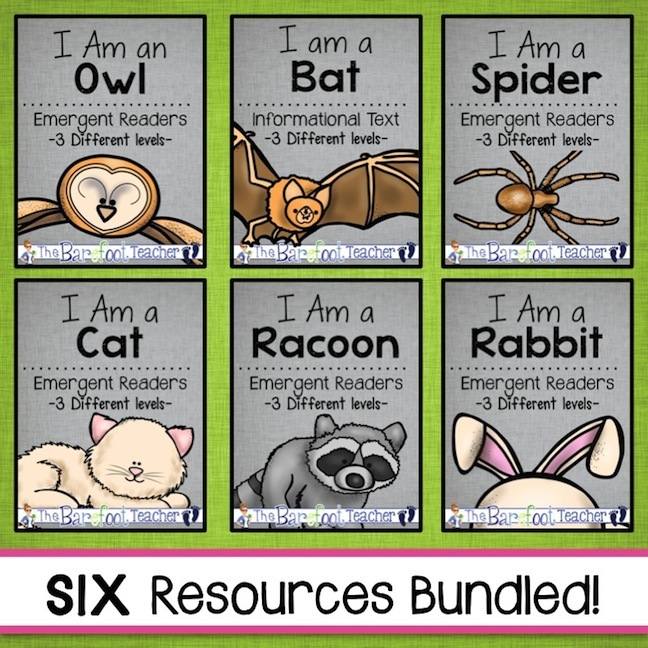 Three different levels allow you to better meet the needs of your students. I'll show you a picture of each of the pages included in this rabbit reader. 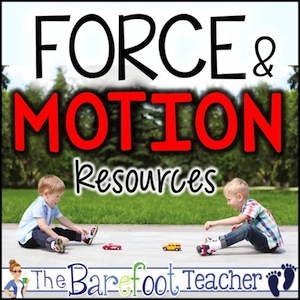 Your students can highlight any sight words, chunks, or blends that you are currently working on. The next page has the same text for both the middle and harder leveled pages. 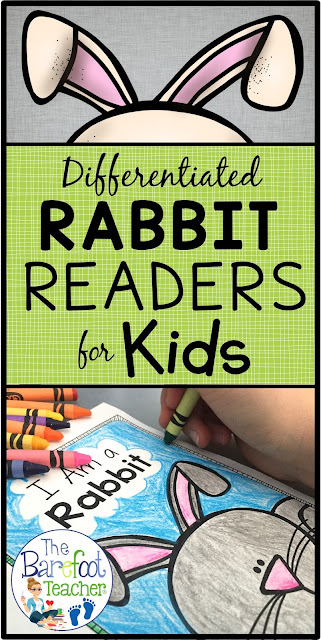 Students draw in the rabbit's whiskers on the coloring portion of the page! This page also has the same text for the middle and harder leveled pages. Did you know a rabbit could be a pet? The last page is one of my favorites. 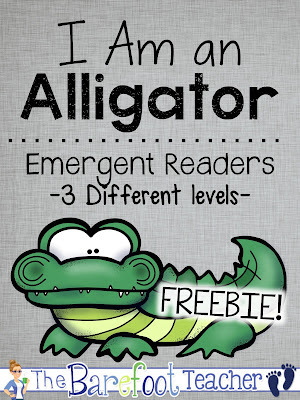 It's included in all of the readers of this series. Students write down a list of the favorite things they learned while reading the book! 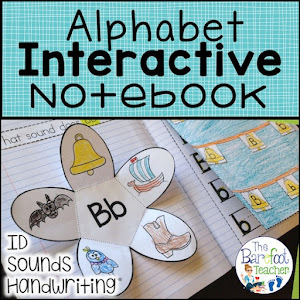 It's a great way to incorporate writing practice! 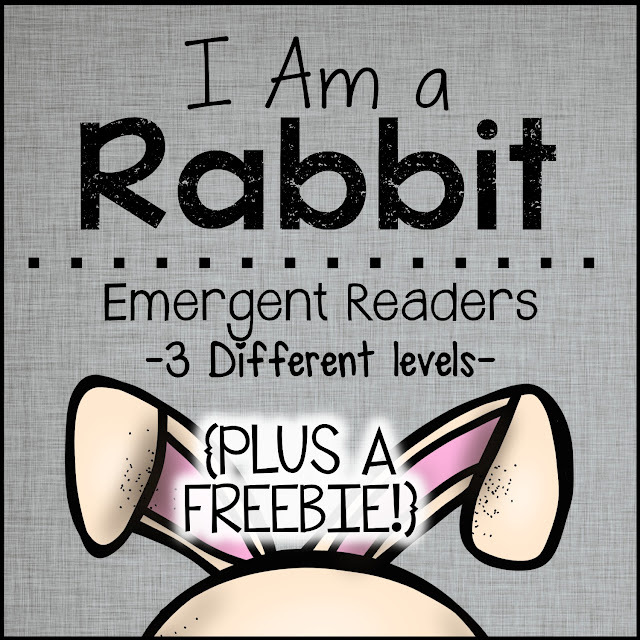 Let me show you two ways you can get this rabbit reader set, and then I'll give you a FREE DOWNLOAD! 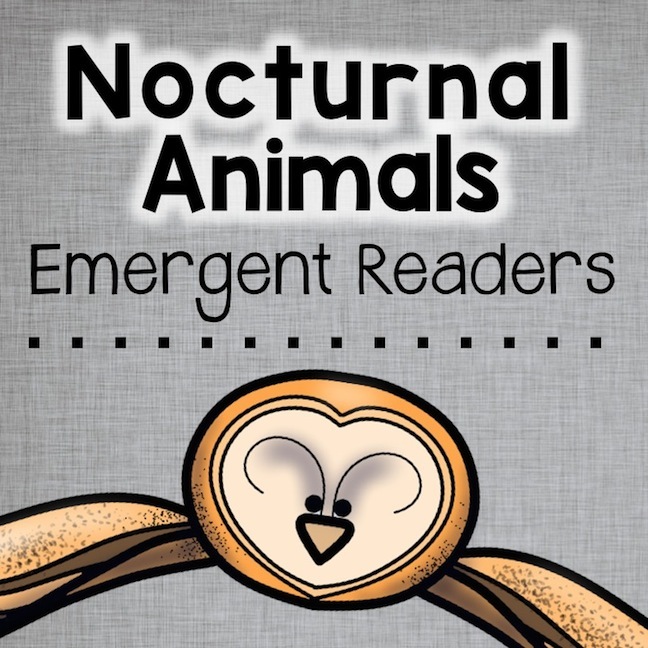 Six readers, all about nocturnal animals, are included in this bundle. 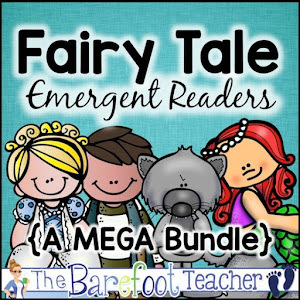 Now, let me show you a FREE DOWNLOAD you can get today that will give you an opportunity to try these readers out! 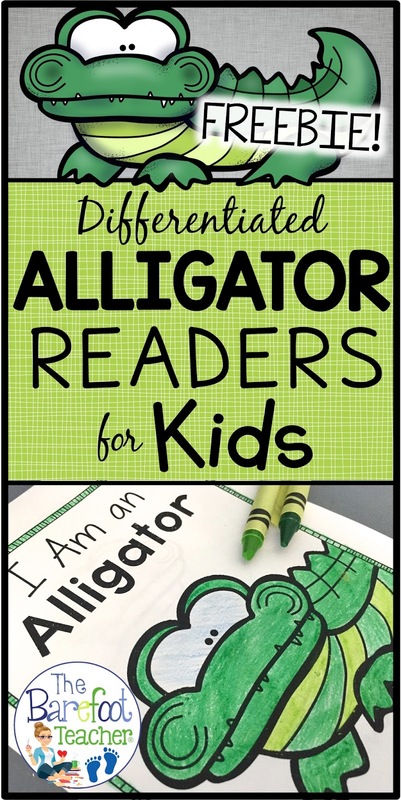 This is the I Am an Alligator set. 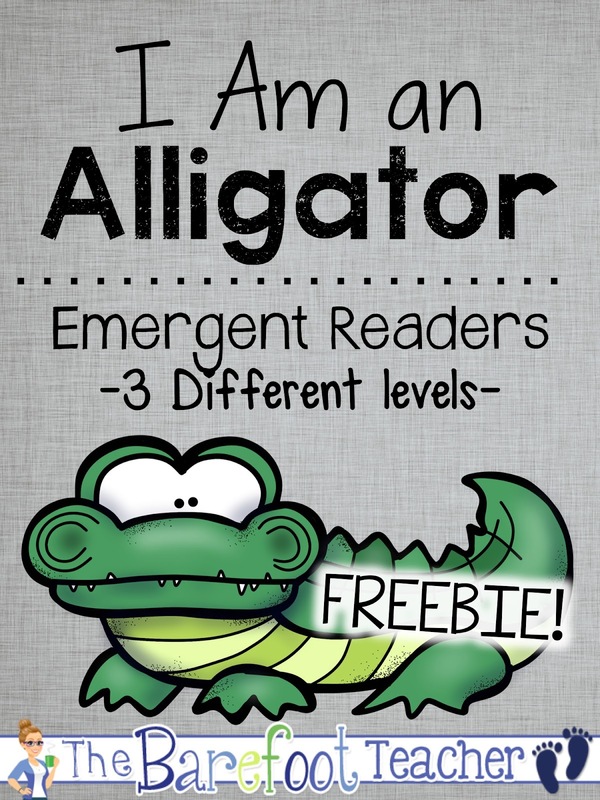 It's set up exactly like the rabbit reader, only your students will be learning about alligators instead! Oh my! Don't forget to leave a rating. I enjoy reading your feedback and hearing what you think! 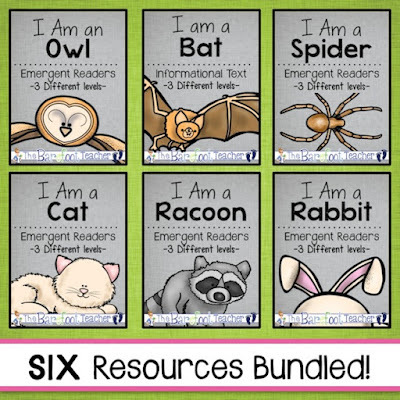 Thank you for the freebie its perfect for homeschool unit on reptiles!